For those of us guilty of not always having a pedicure when the weather heats up, it is essential to have cute summer shoes that cover up our toes. 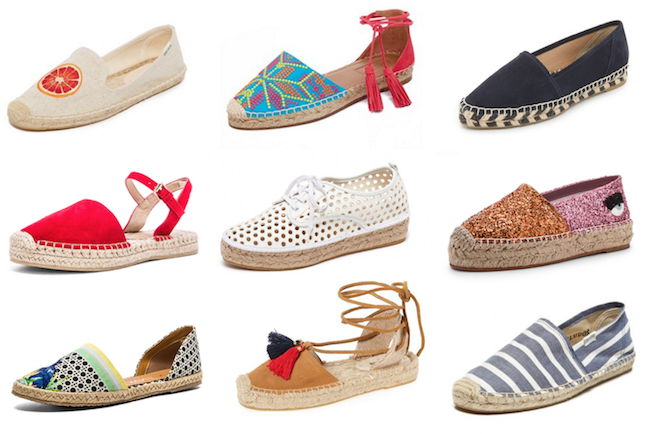 This my friends is why espadrilles are a must have for your summer shoe wardrobe! From classic slip-on Soludos to lace-up styles, these are more than a few espadrilles on my wish list!